Mark Tuminello is a skilled financial professional specializing in portfolio and fixed income analytics, recognized by peers for thoroughness and competency across financial disciplines. These disciplines include organization, negotiation and the analysis of complex cash flow models, financial instruments and scenarios. 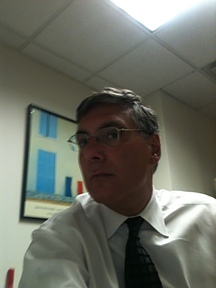 Presently, Mark Tuminello is a Partner at Aleren Analytics LLC., a Management Consulting practice. Previously, Mark Tuminello was at OmniMarkets Group, where he was responsible for the analysis and preparation of valuation models related to alternative investments. Additionally, Mark Tuminello is an Adjunct Professor at the State University of New York – (Farmingdale State College; since Sept. 2010), offering each of Corporate Finance, Financial Institutions and Markets and Statistics classes. Near-term goals include pursuing opportunities in the areas of analytics and alternative investments. Mark Tuminello finished his MBA in Finance from NYU’s Stern School of Business in 1998. Career progression is evidenced by obtaining steadily increasing complex and technical job duties, within respected financial institutions, in positions of responsibility. From June 2008 through August 2009, Mark Tuminello was a consultant for Xavian Holdings, a start-up financial guarantor specializing in providing mortgage insurance to the finance market place. Activities were primarily in connection with obtaining a financial strength rating from Standard and Poor’s. Working with Xavian’s actuarial representatives, Mark Tuminello was responsible for the evaluation of the capital model, determining obligor default frequency and severity of loss on collateral. This opportunity provided him with exposure to insurance risk analysis, the reinsurance market, and in particular the role and structure of an Enterprise Risk Management effort. As a Managing Director with Bear Stearns and Company, starting in January 2007, Mark Tuminello evaluated distressed corporate debt across multiple industries, and other special situation investments related to commercial assets. From 2000 to 2006, as a Managing Director in the structured products area at Wachovia Securities, Inc., Mark Tuminello structured and arranged the first post-9/11 aircraft-backed portfolio securitization, recreating the new issue market in August 2003, utilizing innovative elements of credit enhancement. In the capacity of a Senior Structured Finance analyst at Moody’s Investors Services, Mark Tuminello specialized in auto-backed, franchise loans, insurance premium, real-estate and aircraft-backed pooled securitizations, as well as learning about Moody’s approach to rating defaults and recoveries across obligor types.